Introducing the eGo C Twist 900mAh Vape Pen Battery. With Variable Voltage on your side, you can control exactly how much vape and flavor you prefer. The eGo Twist Vape Pen battery is the best in the industry and will withstand anything you throw at it. The main difference between the eGo T battery and the eGo C Twist battery is the ability to change the voltage that heats up your atomizer tank. The eGo battery has a standard amount of voltage that will heat up your atomizer coil which creates vapor and the eGo C Twist Vape Pen battery has a “Variable Voltage” that will give you the ability to change the amount of volts heating up your atomizer. This type of Vape Pen is technically an “e-cigarette” but it is also called a personal vaporizer, portable vaporizer, vaporizer pen, vapor pen, etc. There are many types of vape pens, and this particular one (eGo Vape Pen) refers to the style of battery on the vape pen. 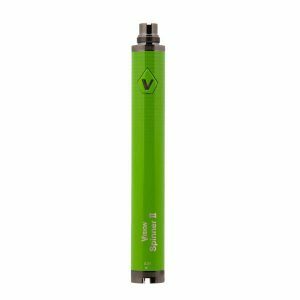 A company called Joyetech was the first that originally invented and produced the eGo Vape Pen battery, but there are now many on the market with just as good of quality level and sometimes a better price. The ego vape pen is an extremely popular portable vaporizer and is often the go to vape pen for many users, experienced and beginners alike. 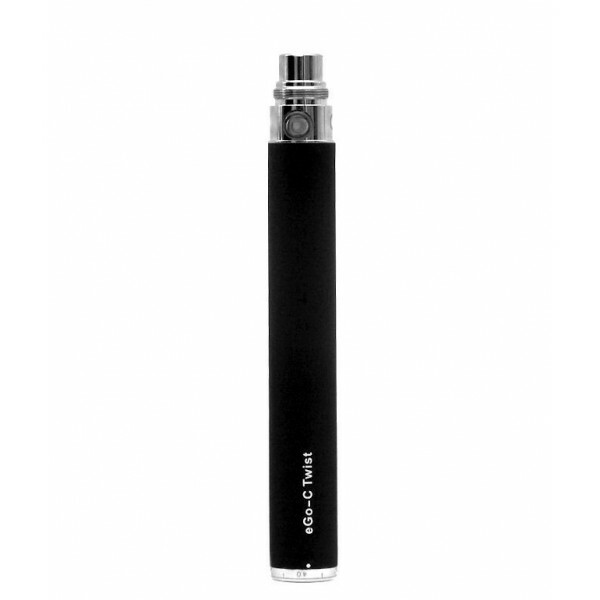 The the eGo T and the eGo C Twist are essentially the same, but one has the variable voltage functionality (eGo C Twist). Both batteries will have the same connections (size of threading), to screw on different tanks. The eGo C Twist has a twist functionality that allows you to adjust the desired level of voltage. The reason why someone would want this functionality to increase the voltage, is because when you increase the voltage, it will increase the power that the battery puts off and in turn this will increase the amount of vapor produced. This Ego Twist is for someone that wants a more customized vaping experience. One cautionary note is that you do not want to turn the voltage too high. You will get a better feel for it the more you use it and you can pick the best voltage for the particular e juice you are using.